Are you looking for information on the company Hangzhou Nonwoven Supply Limited located in China who sells Needle Punched Nonwoven? If so, read below to read one buyer’s experience with this company. Also you will find related search links to explore more about Hangzhou Nonwoven Supply Limited on Supplier Blacklist and across the web. 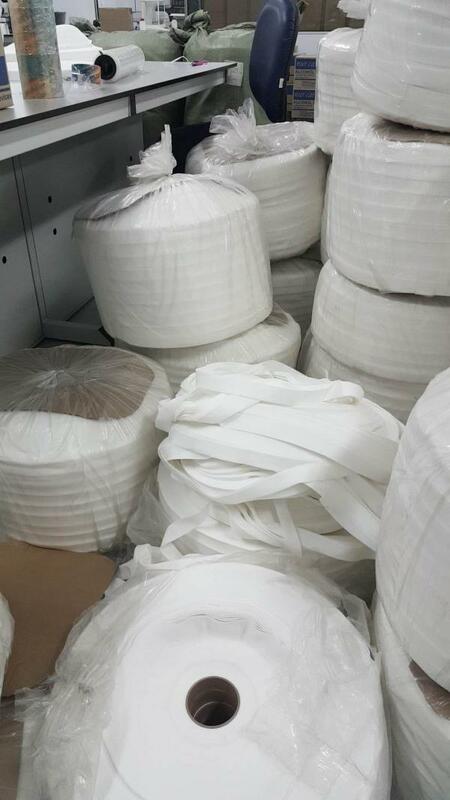 We are medical disposable manufacturer, and recently we had ordered 1 tonne of needle punched nonwoven material from Hangzhou Nonwoven Supply Limited. The sales person that I currently communicating is Mr Jason. The order has been placed after we tested the sample. Then, we had requested Mr.Jason to wrap the finish goods with PE film to avoid major damage during the shipment as the nonwoven that we had ordered was 30mm width in size and easily damaged if not being properly wrapped. But Mr. Jason claimed that the packing only can be done with normal plastic wrap as attached . Before the shipment, we had requested Mr Jason to send the picture of the goods, and we had found the rolls were already deformed, even in their factory. 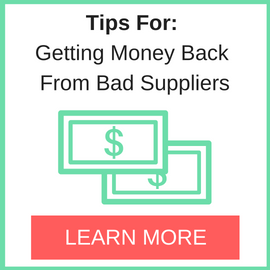 Without any option, we had paid the balance, and request them to ship out the material. We had received the raw material after 2 weeks, and we really disappointed because almost half of the total rolls were damaged upon arrival. 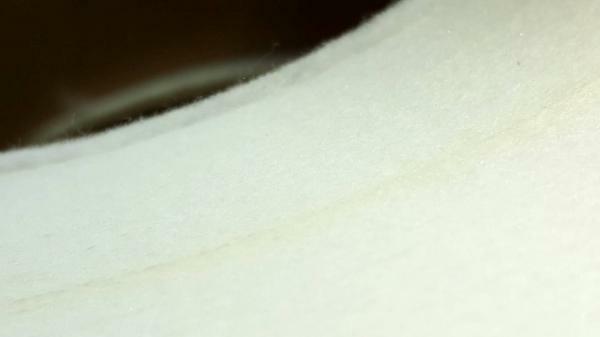 Yellow stain mark also was found on the material and we totally cannot use the affected rolls. Refer to pictures attached below. 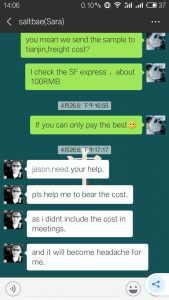 We try to contact Mr. Jason regarding this issue, but he requests us to talk with his manager Mr.ping/wing. 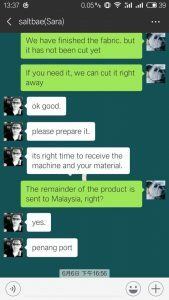 Mr ping come to conclusion and agree that their Quality control was the first issue that being pointed out and they regret that the goods was not follow as per standard and passed out quality measures..
Then to make up the loss, they refuse to refund full amount.but they agree to refund in terms.that is ~USD900 in monthly terms for 9 years. (USD100/Month).But we feel its not that practical and we reject the refund method. Now we have to spend another USD200 for dispose the reject the material and we lost almost USD1200 . Kindly avoid purchasing with Hangzhou Nonwoven Supply Limited and their sister companies. Add: No.118, Donggang Road, Linping, Yuhang, Hangzhou, China. 1. All nonwoven raw material that comes with smaller width, please palatalize to avoid unnecessary damage to it. 2. request for immediate refund if you find countable rejects.Please don’t agree to ‘next order refund’ term.discuss about this term before you place order. Need More Info on Hangzhou Nonwoven Supply Limited? 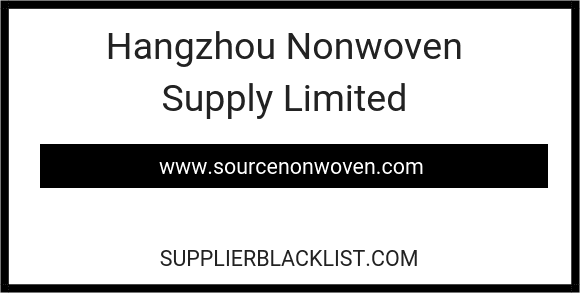 If you need more information, you can click the below links to search for more submissions about Hangzhou Nonwoven Supply Limited on Supplier Blacklist as well as go to the search results page on Google for more reviews online about this company. Perform a Supplier Blacklist search for more reviews on Hangzhou Nonwoven Supply Limited. Search Google for Hangzhou Nonwoven Supply Limited Reviews. This is Jason, a new saleman in Hangzhou Nonwoven. 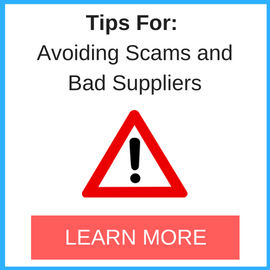 I feel anxious to see our company was listed as a bad supplier,I would like to claim the whole trading with this buyer to see everything clearly. Then we signed the contract like the photo(PI.JPG). 2)On 8 May, we got the deposit from Mr. Sara and they also bought a swab machine from Tianjin Special Packaging Machinery Co.,Ltd. 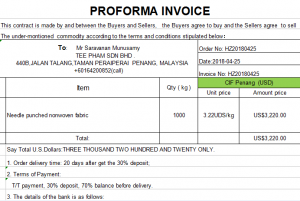 During that Mr.Sara asked us shipped several rolls TWICE to test the material by free(4-26.jpg) which actual cost us 105USD,buyer always close the eye’s for supplier’s support. Then on 28 May,Mr. 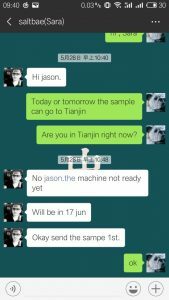 Sara told us the machine is only ready at 19 July. (5-28.jpg) and was said ok with the lead time and just ship the 1st sample to test.(6-6.jpg). Now here on the article we are still complaint with “Missed Lead Times”. 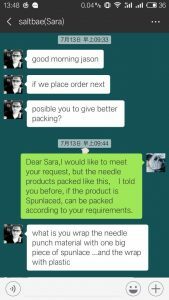 3)Regarding to the problem, as Mr. Sara explaned it is mainly because of the packing which made the roll loose during the TRANSPORT, this is my responsibility that we do not have a good solution for the packing before shipping.There is some misunderstanding with the chat because Mr. Sara requested for a spun-lace packing with his needle punched fabric, which is not easy for us to do like that as I explained(6-25.jpg &6-27.jpg). 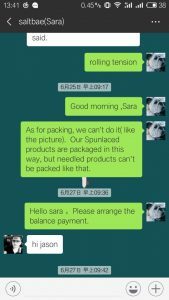 “Without any option, we had paid the balance”,But we think Mr. Sara have better option to avoid the problems, such as request for the deposit back or ask us to put the roll into a carton etc. These are better ask for a compensation after receive the goods which made both of suppier & buyer loss. 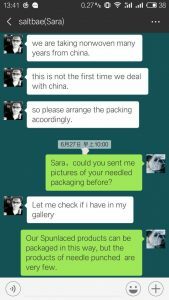 Mr. Sara already told me that he had bad experinece with the packing for this products, so he should NOT make the same mistake TWICE and find any solution together with us. The focus problem is our manager and the factory director can not believe half of the rolls was damaged. We think Mr. Sara ‘d better to send us a packing list at least to show which is damaged. 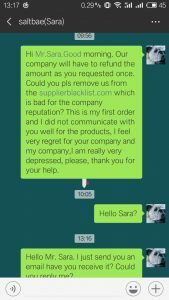 Anyway we agree to compensate Mr. Sara with this uncertain quantity, then we found that we are listed in supplierblacklist.com because Mr. Sara have no patience with our refund method. 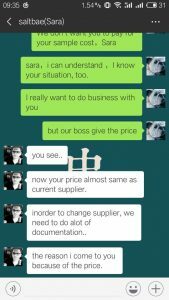 4)Finally today my manager agree to pay his requested amount fully but we did not get any reply from email or wechat a whole day from Mr. Sara(9-17.jpg).Not sure if he was unhappy with me or busy, but we hope we can slove by an open attitude. 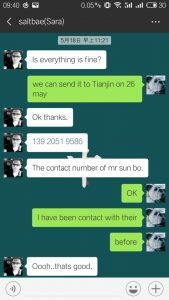 This is whole trading for this order, I do not think we are a bad supplier and it is not fair for a positive supplier, I hope supplierblacklist.com can remove our company with a bright eyes.